AngelCare Bath Support Mega Sale!! These baths are probably the single most-used item that I got at my baby shower for our babies and I LOVE THEM!! 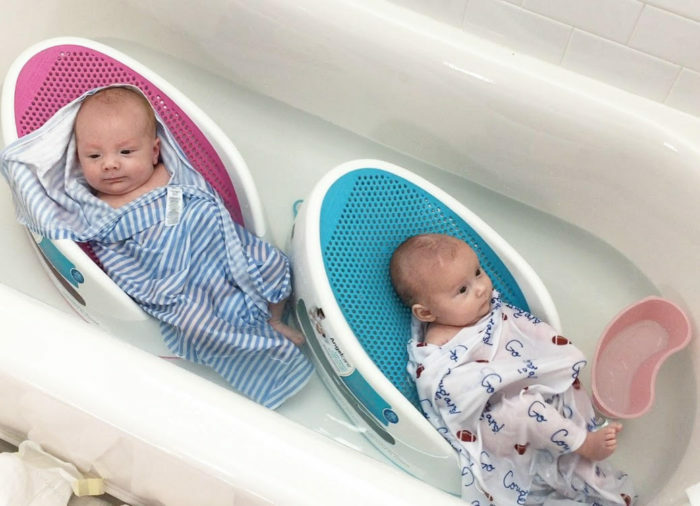 They make bath time so easy, and my babies love them because the water comes up from the back and keeps their little bodies warm and they are soft and comfortable too. They are on a major sale today! Get the blue Angelcare bath for $17.86 and the pink Angelcare bath for $15.21. They are normally $29.99 each! This is the best price that I EVER seen on them!! I would recommend stocking up for baby shower gifts too. I love having great gifts on hand that I know people are going to absolutely love. Previous Post: « Booties sale!